MASKerade: Muse114 - Thanks ever so much! Muse114 - Thanks ever so much! I focused on colour scheme, the row of blue elements and the sentiment on the right. This card is made using a mishmash of manufacturers' products and I love that we have the freedom to mix and match! 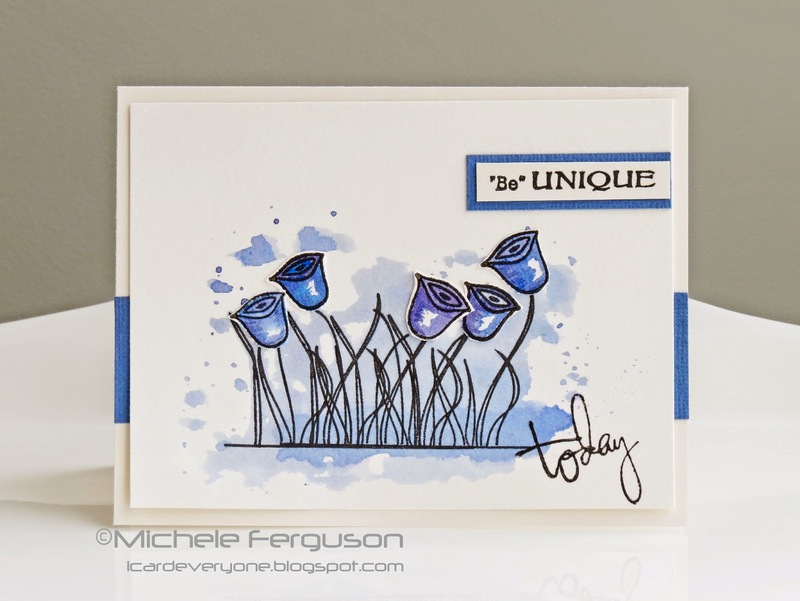 The 'thanks' dots are made with a Neat&Tangled stamp, an MFT die and Hero Arts new ombre inkpad (Pool to Navy). The 'ever so much' is from Paper Smooches. The deadline for this challenge is Monday at 8 am. At that time you can vote (even if you don't link up a card) for your top 3 until Tuesday at 8. The voting results will be posted Tuesday at noon. I hope to see you there! Love how you combined the products. The thanks circles are perfect. Ardyth this is fantastic... love that ink! LOVE those ombre circle thanks! I sure wish I could play along this week but my craft room is all packed up as we are moving on Monday. :( I have been soooo inspired this past week and haven't been able to create at all. waahhh LOL! Sure hope my mojo is flowing when we get settled in. :) Have a great weekend! Love the circle coloring -- I just love seeing your takes from the Muse -- always so obviously WHAT inspired, but so different from original. Ardyth, GREAT take on the Muse card!! 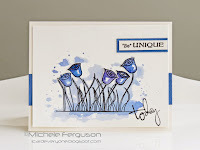 I love the mixing of stamps and dies as well...such freedom we card makers have that really helps our creativity, right? Gorgeous take on the inspiration and I love the ombre circles! How are you liking those HA ombre ink pads? I've heard mixed reviews so curious to know what you think. This is fabulous! Love the ombre circles. Those ombre ink pads must be so much fun to use and alot quicker than trying to blend everything just right!! Fabulous card, loving the circles, very retro! This is a wonderful design and perfect execution. I was puzzled as to how you got the shading so exact on each circle...now I know I just need some new ink pads. Fantastic effect. ...um...you seriously need to do a 'how to' video for the Hero Arts Ombre inkpad! Great "mix & match" of this & that! "ever so much" is now on my list!